Despite heading into her maiden World Figure Skating Championships as one of the favorites, ascendant star Rika Kihira said Monday her priority was a performance with "no mistakes." Having already won the Four Continents Championship and Grand Prix Final in an outstanding debut season on the senior international circuit, the 16-year-old Japanese will contest the worlds for the first time from Wednesday in Saitama near Tokyo. One of only a handful of women with the triple axel in her arsenal, Kihira landed the jump without a hitch during practice at Saitama Super Arena before giving the meet's venue her seal of approval. 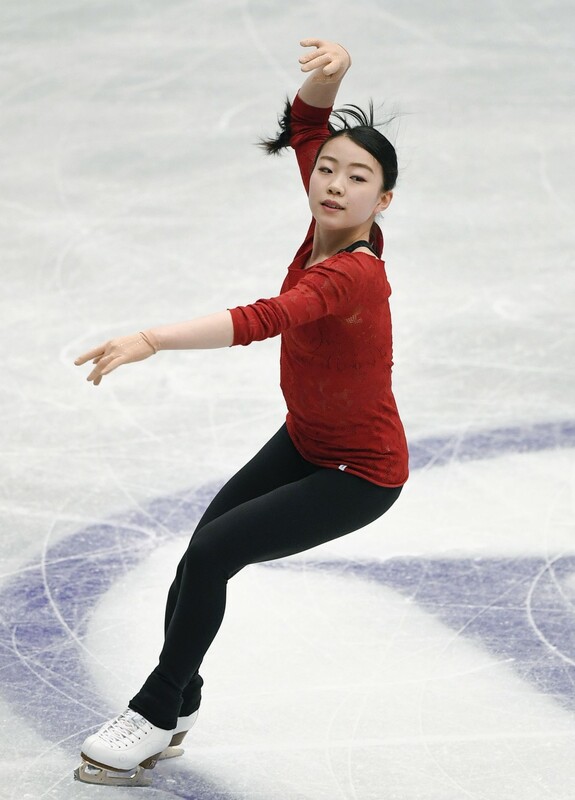 "The condition of the ice is really good, and I think there will be a nice atmosphere in the arena," she said. The native of western Japan's Hyogo Prefecture said nerves could be a factor at the biggest meet of her career, but she was confident of a good result provided she executed her game plan. "It's my first world championships, and it's at such a big arena, so I might feel a little nervous," Kihira said. "(But) I'm not really thinking about the pressure, I'm just focusing on what I have to do." "I think I have a chance of winning the championship if I perform the short program and the free routine well, so I just want to think about doing a performance with no mistakes." 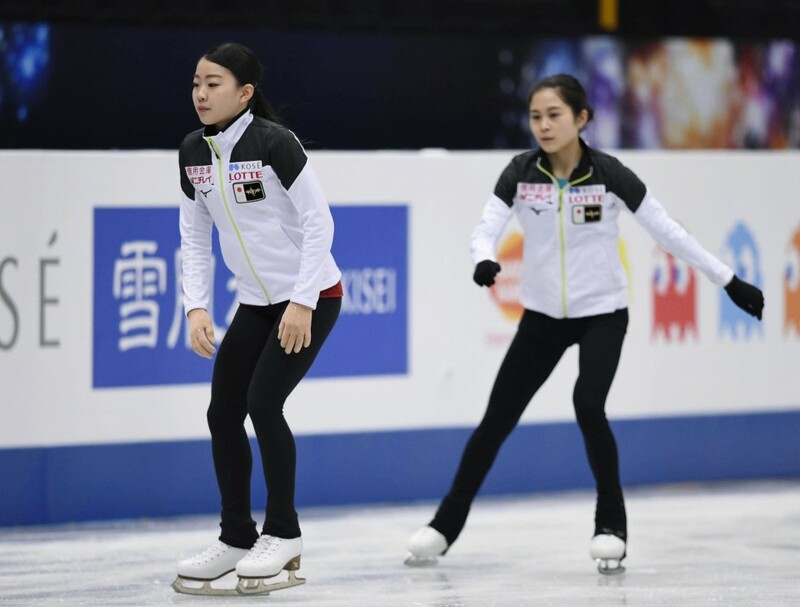 Kihira's chief rivals in Saitama are likely to be Russia's Pyeongchang gold medalist Alina Zagitova and two-time world champion Evgenia Medvedeva, as well as Japanese teammates Satoko Miyahara and Kaori Sakamoto. In what was predicted to be a close contest between Kihira and Zagitova, the Japanese skater finished first in both the short program and free skate to take gold ahead of the 16-year-old Olympic champion at January's Grand Prix Final in Vancouver. Russia's Elizaveta Tuktamysheva edged out Sakamoto for bronze, while Miyahara finished sixth. Kihira, who captured the NHK Trophy in her Grand Prix debut last November, said she was looking forward to competing in front of a big home crowd in Saitama, a sentiment echoed by Miyahara and Sakamoto. "Competing here at Saitama Super Arena, I may feel an extra sense of excitement," the 20-year-old Miyahara said. "There will be a lot of Japanese fans, and the ice is really good, so I'm looking forward to it." Sakamoto, 18, who shocked Miyahara and Kihira to win at the national championships in December, said skating on home ice gave her extra incentive. "Since it's being held in Japan, many of my friends and family can come to watch, so I really want to do my best," she said. The women's individual competition opens with the short program on Wednesday, followed by the free skate on Friday.